Taking a typicalB-complex formula may be essentially useless, as your body might not be able to utilize it. The body must convert the B-vitamins into their active coenzyme forms in order to absorb them, and some people have genetic alterations that reduce their body’s ability to perform these conversions. Another downfall of generic B-vitamin formulas is that they tend to deliver exactly the same dose of each B vitamin. Since the body needs them in different amounts, this makes little sense and can even lead to nutrient imbalances. The mission at AOR is dedicated to providing unrivalled innovation and unmatched quality in natural health products to its valued and discerning customers. AOR is committed to researching the best that science and nature have to offer. By delivering the “right amount of the right ingredients to the right place at the right time,” AOR offers its customers a unique and truly orthomolecular approach to personalized nutrition for the future. AOR’s goals are to provide innovative products that may have not yet reached the mainstream market, to provide superior products to those already on the market, and to deliver those products in their most effective forms and doses. AOR strives to source novel ingredients, develop delivery technologies that are rare or unheard of in the supplement industry, and to educate consumers on the facts and myths of natural health products so that consumers can make educated decisions about their health. AOR’s facility is designed from the ground up specifically with providing the safest, purest, high quality products in mind. Some of the most advanced equipment available can be found in our labs, giving us the ability to innovate and progress beyond the norm in the natural health product industry. Collaboration with universities around North America and renowned companies all over the world puts AOR on the cutting-edge of research breakthroughs and delivery technology advances. Scientific integrity and innovation have been central to the AOR philosophy since its foundation. AOR’s origins lie in the pharmacy of the organization’s Research Director, Dr. Traj Nibber, when he was contacted by People With AIDS (PWA) advocacy groups searching for a source of hard-to-find formulations for AIDS buyers’ groups. His initial surprise at the lack of access to these nutritional supplements soon turned to empathic frustration, as he realized how many people were suffering from the failure of the dietary supplement industry to make available nutrients whose role in health were well-established by rigorous scientific investigation – and the simultaneous willingness of the same companies to promote supplements on the basis of only the most flimsy of evidence. In a little over a decade, AOR has become a leading provider of genuinely innovative nutraceuticals in North America and around the world. AOR’s bottled revolutions are groundbreaking, research-backed orthomolecules and botanicals which are new to Canada and often to North America and the world.Mainstays of the supplement & vitamin market today – such as glucosamine sulfate for joint structure and S-adenosylmethionine (SAMe) for support of balanced mood and thought patterns – were first brought to the Canadian market by AOR.The company has continued to innovate over the years, consistently putting science-backed natural canadian pharmacy health products into the hands of health practitioners and into the lives of patients and consumers years ahead of their secondary acceptance by the mainstream dietary supplement industry. AOR released Canada’s first defined pollen extract for prostate health (Prostaphil-2), the only supplement documented in clinical trials to directly affect prostate structure by reducing the volume of the gland itself, rather than simply relieving symptoms as with saw palmetto and other conventional prostate herbals. AOR was the first company to bring a geniunely complete E-complex supplement in the form of “Total E” including balanced amounts of all 8 tocopherols and tocotrienols. AOR’s influence has extended well beyond Canada’s borders. AOR products are also available in the United States and in the UK. AOR brought the world its first R( )-Lipoic Acid supplements, containing the genuine orthomolecular form rather than the racemic hybrid of natural R( )- and synthetic S(-)-enantiomers found in conventional “lipoic acid” or “alpha-lipoic acid” supplements. AOR brought forward North America and Europe’s first Menatetrenone, or MK-4 (under the name Peak K2), the mammalian-specific vitamer form of vitamin K2, documented to support bone health in multiple clinical trials and registered as a “drug” for osteoporosis in Japan. Benfotiamine, a derivative of thiamine long used clinically in Germany to relieve the symptoms of diabetic peripheral neuropathy, has more recently been documented to reduce the burden of advanced glycation endproducts (AGEs). As experimental evidence came in to support its ability to maintain healthy protein structure in the nerves, retina, and kidneys in the face of a sugar-loaded assault, AOR became the first North American supplier of this key nutraceutical. AOR was first in the world to deliver the revolutionary bone health mineral Strontium at a clinically-tested dose. 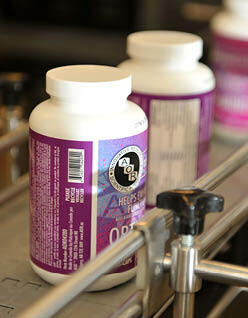 In the regulatory vacuum of the North American dietary supplement industry, quality control has always been a concern. In the USA, dietary supplements are barely regulated, and anything can be sold without much in the way of safety analysis before putting it on the market. In Canada, however, formal regulatory requirements for the manufacture of dietary supplements have been issued by the new Natural Health Products Directorate (NHPD), using GMPs which are modeled standards established for use in pharmaceutical labs. AOR has received its site license from Health Canada, and operates its facilities under standards created to meet or exceed the statutory requirements laid out under the new regulations. In addition, AOR implements a process of self-imposed quality control, creating internal standard operating procedures that were modeled on those of the pharmaceutical industry for purity and rigor. Since pharmaceuticals are considered to be potentially more dangerous, pharmaceuticals require strict purity testing procedures and results and rigorous manufacturing standards that range from cleanliness of the working area and the equipment used, to facility design to minimize contamination, to testing for identity, active ingredients (potency), purity, solvent residue, heavy metal contamination and microbial contamination. As such, pharmaceutically synthesized products actually tend to have few to no contaminants and unknown ingredients compared to naturally sourced herbs. Pharmaceutical protocols demand that all variables are controlled. In Canada, the NHPD is moving towards enforcing such rigorous testing of natural health products, which improves their safety and efficacy. However, AOR exceeds these standards in material testing, and the facility design and the manufacturing procedures are more rigorous than the norm in the natural health product industry. A Certificate of Analysis is obtained from all suppliers attesting to the identity, potency, extraction information, allergen content and other handling information for each raw material. All AOR products and raw materials are subject to a regular and ongoing process of third-party analysis by independent analytical laboratories to ensure purity and potency. 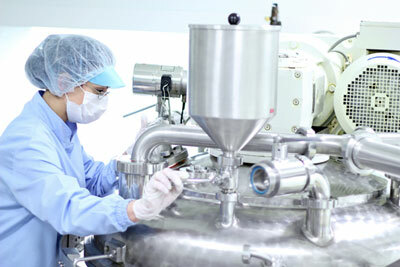 The most appropriate available assay technique is always used for analysis of active ingredients and detection of contaminants, in consultation with internal Quality Control staff and external technicians and experts. For most analytes, high-performance liquid chromatography (HPLC) is the preferred technology. Heavy metal and microbial contamination are also regularly tested in raw materials. When raw materials appear to be different than previous batches, they are sent for additional testing to affirm their potency. Of course, because AOR does not believe in adding masking agents and colours to make natural products look the same since their natural characteristics can change based on environmental factors, products may sometimes vary in the way they appear. But rest assured, AOR’s testing is some of the strictest in the industry, so you can be sure you are getting the high quality products that you expect. Health-conscious individuals, radical life-extensionists, and health practitioners who incorporate orthomolecules and botanicals into their practice often work in new territory, outside of the bounds acknowledged by the medical establishment. To make judgements on which supplements will best support their health, individuals and their health care providers need clear, science-based literature to document a supplement’s benefits. Unfortunately, is far too common in the supplement industry to see wild claims made with no documentation, and product literature which is vague to the point of being void of meaning or which is written with assumptions about the reader’s intelligence which are frankly insulting. AOR has always distinguished itself by providing high-quality literature to support its advanced formulations. Indeed, AOR recognizes that they have a special duty to provide research summaries that are both scientifically accurate and readily understood by practitioners and educated laypeople alike, because of the nature of our line. AOR’s supplements are so effective in large part because of the rigor of the science that backs them and the innovative use of novel ingredients – or forms of ingredients, or even applications of ingredients – with which few but specialist researchers are typically familiar. Compared to products based on repackaging established cash cows, AOR formulations require a higher degree of education to be used effectively. To meet this need, AOR has consistently created literature which carefully backs up its claims, refusing to dumb down the science while taking care not to speak over the head of an intelligent lay audience with an interest in science and a willingness to engage with new ideas and to develop familiarity with new research developments. AOR is dedicated to continuing to advance the cause of healthy life extension through a continuous process of renewal, struggling against the forces that institutionalize stagnation in the supplement industry. Through novel, exclusive contract arrangements, AOR has repeatedly released natural biotechnologies only previously available to research laboratories, overthrowing the forces of inertia that keep revolutionary advances imprisoned in the ivory towers of research. AOR has put advanced new orthomolecules and botanicals into the hands of the natural health care provider, the health-conscious, the seeker of alternatives, and the radical life-extensionist. A little more than a decade ago, AOR was created to bring something new to the Canadian supplement world: not just new supplements, but a new spirit. In a marketplace dominated by half-baked notions, slipshod product quality, and shoddy research, strive to remain true to a commitment to Innovative Research and Scientific Integrity – and to you. With our recent expansions into the United States and the UK, AOR is now forging new relationships with health-conscious consumers, retailers, and health care practitioners, who alone can ultimately choose to bring the fruits of AOR’s labors into your store, into your practice – and into your life. When combined, several factors contribute to the advanced nature of AOR: delivery technologies, ingredients, equipment and the facility. The pharmaceutical industry is miles ahead of the natural health industry in these areas. In addition, pharmaceuticals are required to abide by much more rigorous safety and sterility standards than our natural health products. Although AOR uses natural ingredients, its processes approach pharmaceutical standards in terms of delivery technologies, equipment and the facility. AOR is bridging the gap between pharmaceutical standards and those of the natural health industry. Though this may sound scary, it merely refers to a process by which AOR goes above and beyond the norm to ensure the efficacy and safety of our products. At AOR, we choose the appropriate delivery technology, whether Vegi-Capsules, Gelatin Capsules, Softgels, Vegetarian Softgels, Lozenges, Liquids or Creams. The delivery technology of choice is always backed by scientific evidence. When an alternate delivery method is best, AOR will procure it. Emulsifications and particle size reduction are recent innovative delivery technologies to AOR. These processes are applied where scientifically appropriate with the most effective, safest and cutting-edge equipment available. AOR knows that ingredients make all the difference. AOR uses the most bioavailable and superior ingredients supported by science in order to ensure that AOR products are effective and safe. While disintegration testing used to be the standard for assessing the physical breakdown of a product, AOR uses an equipment that assesses its ability to dissolve. This allows for accurate comparisons between dosage forms, establishing time-release profiles and contributes to the optimizing of various formulas. Particle size reduction is an important advancement within AOR’s formulas. Conventional particle size reduction uses a process that involves a metal mill dividing the particles by force. Unfortunately, traces of steel fibers can be left behind in the product. AOR uses more advanced machinery that is much more hygienic and does not have this risk. Conventional particle size analysis uses a sieve. This technique works for dry powders only and can test for particles as small as 60 micrometers. AOR’s techniques allow for testing as small as 10 micrometers in both powder and liquid materials. Making emulsified products can be difficult. Manufacturers usually resort to using stabilizers because they make the appearance and feel of the finished product much more appealing. AOR’s equipment allows creation of emulsification without the use of stabilizers, making a much more natural product.